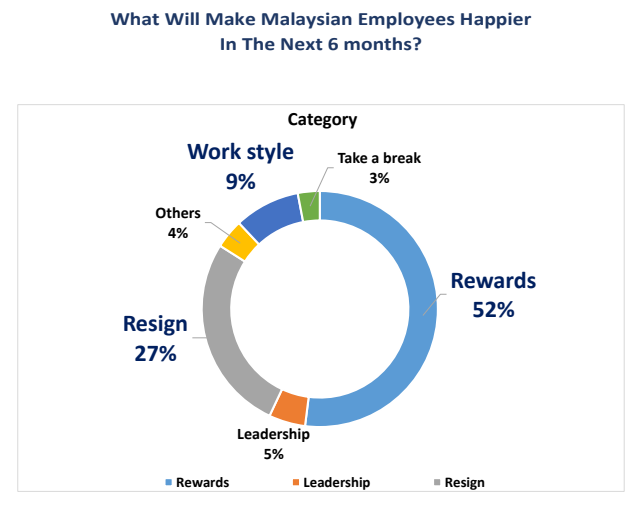 Only 30% Of M'sian Employees Are Happy, According To Jobstreet. How Can We Fix That? Jobstreet surveyed 10,143 Malaysians about their happiness at work. Congratulations, guys! Since scoring 6th on the same survey last year, we’re now 4th out of the seven countries surveyed in Southeast Asia, giving a 4.65 out of 10 score for job happiness. From that survey, they discovered that marital status or gender didn’t change how Malaysians perceived happiness. Instead, the survey found some interesting nuggets of information. A good relationship with colleagues. Working in a reputable company. A lack of career development. A lack of training opportunities. Almost half of the Malaysian employees are unhappy with their jobs. And this is perhaps part of the driving force that causes the millennial job-hopping that has been observed in today’s workforce. However, studies show that there’s less of it these days thanks to the older millennial generation. Turns out that job-hopping is a 20-something habit, not necessarily a millennial one. After all, on a scale of 0–10, it seems even the “happiest” country for employees in this region tops out at 5.27. Meanwhile, on average, 73% of Europeans are happy with their jobs—with the Dutch topping the study at 75%, according to a 2017 study. Before you feel too blue though, only 51% of Americans voted that they were satisfied with their jobs as of 2016, so we’re kind of at the same level as #Trumpland. Or well, #Obamaland at the time. As a starting point, Jobstreet’s respondents did provide some helpful suggestions. That’s right. If a little more than half of the employees (52%) are rewarded for their efforts, it’ll greatly improve their happiness. Perhaps something along the lines an increment, or a promotion. This signifies that Malaysians currently feel undervalued for their efforts. Makes sense. Only recently did Malaysia start seeing a turning point for the Ringgit in the international market, so our economy in 2017 was in a bit of a rough patch. Not to mention, with all of the retrenchments going around, employees who are unhappy are more inclined to keep jobs they don’t like, or take any job they can get. This theory tallies with how the second highest reason for happiness in the next six months is resignation (27%). Malaysians state that rewards will make them happier, but the happiest workplace in Europe offers a different solution. So I get that the Netherlands has the economic stability to even do this. And being a first-world country helps too. But I still think there’s something we can learn from their approach. Besides offering employees ample opportunities for promotions or career advancement, (which tallies with “working in a reputable company”) it would sure help employees if they feel appreciated as a human being. Rather than just a cog in the machine. Listening to employee’s ideas, considering their needs and showing appreciation for a job well done can play an important role in job satisfaction. Maybe allowing employees to actually go home at 5pm might help too, though many Malaysian companies might balk at the idea. We’d be curious to know if any company in Malaysia actually strictly practices a 5pm end-of-work time, with employees burning the night oil as a rarity. If more Malaysian employers seriously implement employee happiness practices and enshrine it into the company’s daily routine, it could make a huge difference to how employees treat their job. After all, organisations that are high on work happiness actually perform better. Therefore, even if rewards are low at the moment, an employee might still achieve more happiness at the job. But we figure that this wouldn’t last too long if a significantly better salary emerges for employees to grab. Still, if it could make the daily crunch slightly more bearable, wouldn’t that be better overall? 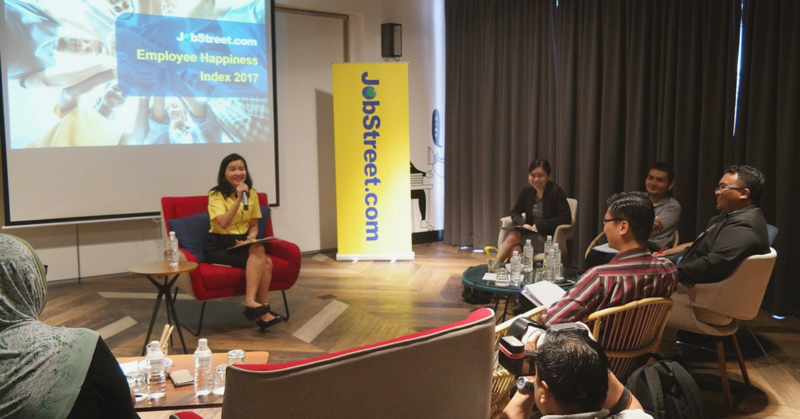 In a Jobstreet survey, Malaysians consider convenient work location, a good relationship with colleagues and a reputable company as top factors that drive happiness. They consider poor leadership, a lack of career development and a lack of training opportunities cause the most unhappiness. That being said, 42% of Malaysians are unhappy at work. So reconsidering rewards for loyal employees, or considering their needs might help increase work happiness, which can increase productivity.